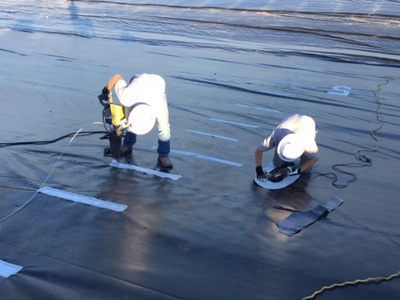 Our crews have installed over one billion square feet of geosynthetic materials, delivering premium containment solutions for the energy, environmental, municipal and agricultural markets. 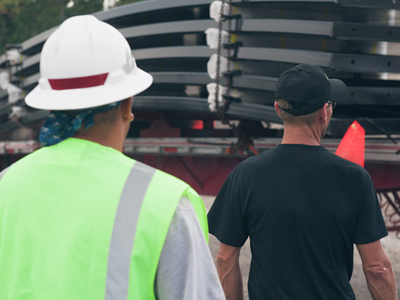 Mustang Extreme’s service starts with experienced personnel and an extensive installation history to ensure your project receives the highest environmental and safety standards, the most experienced project management, and industry-leading expertise and quality. 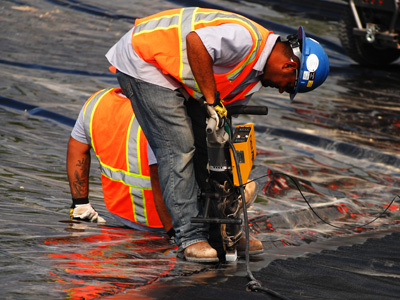 Our crews have installed over one billion square feet of geosynthetic materials, delivering premium containment solutions for the energy, environmental, municipal and agricultural markets. We also feature an extensive fleet of composite matting designed to solve challenging access issues. Our engineering and estimating teams evaluate each job independently, which not only provides accurate quotations, but also unmatched technical support and guidance to our customers. Mustang Extreme’s innovative processes and efficient procedures ensure the job is on time, within scope, and on budget. We strive to build relationships, solve our customers’ problems and earn their trust. Let us show you what it means to have experience that has been Built by the Billions. The customer always comes first and their satisfaction is our ultimate goal. We are about so much more than just doing a job for someone; we want to build relationships and we care. We want to be your go-to contractor. 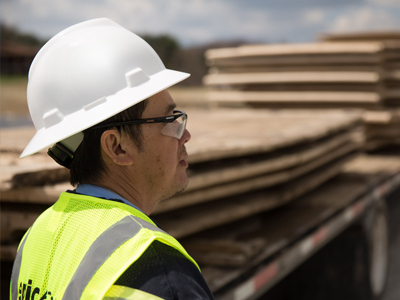 Our on-site supervisors make sure our work is completed in an efficient manner without sacrificing quality or safety. We offer our clients reliability, travel flexibility, innovative thinking and seven day a week readiness. The company prides itself on quality; always striving to provide the best service in the industry. It is our goal to create and maintain first-rate relationships between company and customer. Mustang Extreme is committed to best-in-class health, safety and environmental performance. Our goal is an incident-free workplace and we train our employees not to simply be compliant, but to be extraordinary.